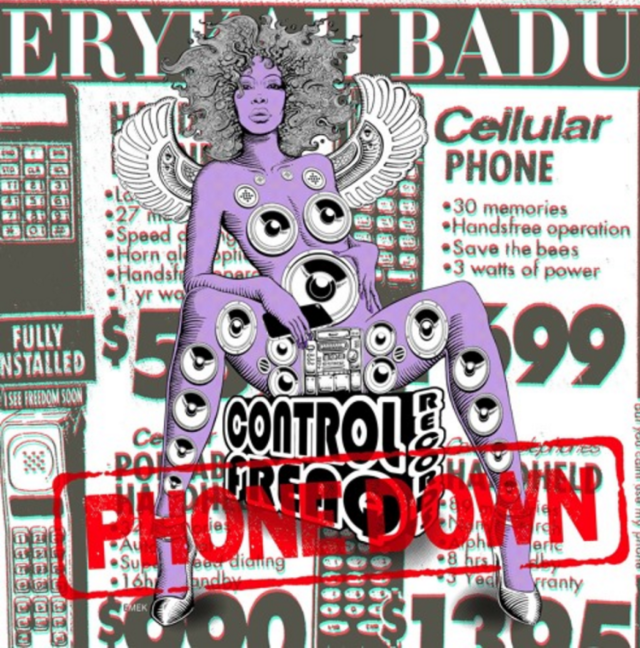 Last month, Erykah Badu shared her own seven-minute version of Drake’s ubiquitous “Hotline Bling,” and the song apparently inspired an entire “cell-u-lar de-vice”-themed mixtape, But You Caint Use My Phone. The whole thing will be out Thanksgiving weekend, but tonight, as Pitchfork points out, she’s shared another song, “Phone Down,” which is also dedicated to Drake. “this ones for Aubrey,” Badu wrote on Apple Music Connect. Listen below. But You Caint Use My Phone is out Thanksgiving weekend.